When I was only fifteen years old in Kansas and running along country roads, I heard about Fidel Castro and his rebels in the Sierra Maestra mountains. I romantically dreamed about being with them. It was also at that time that I was reading Ernest Hemingway’s For Whom the Bells Toll. The Castro Brothers and their comrades in the mountains and the fight that Robert Jordon took on in the vast mountains during the Spanish Civil War merged into a young boy’s ideology, primitive, naïve and full of idealism, but forged by a code of conduct that kept me alive. Now, as an old man, I am still running along roads. However, I prefer kicking a football on a pitch, and I remember a certain photo that I saw of Fidel kicking a soccer ball, and that one photo told me that even though he had been a brilliant baseball player, he also gave homage to the peoples’ game, that is Fútbol as it is known in South America, Cuba, Mexico and among Latinos and Hispanics in North America. I mention sports in my remembrance of Fidel Castro Ruz because he was a man of great complexity, and a historian cannot simply say he was a revolutionary, because in many ways he was a man for all seasons. Fidel Castro encompassed almost all social interactions that make us so human, all these traits of humanity that reveal both strengths and weaknesses in ourselves. Castro the man was passionate about life, even as he could be ruthless when situations and circumstances demanded it, both in peace and war. He also had his intellectual and political differences with other great men, like for instance José Saramago, who was not in agreement over the way the Cuban Government treated certain dissidents. However, when Saramago died, Fidel Castro had flowers sent to the funeral of Saramago in Portugal on behalf of the Cuban Government and himself, for he was that kind of man — he rarely held grudges. Fidel Castro Ruz is a part of the legacy and foundation of American communists and socialists’ political values in the United States, those who are waging the struggle for emancipation from the industrial-military complex that has for decades, if not since the end of the Civil War, placed its harsh yoke on the American people. Even with the backwardness and primitiveness that is now at the core of the American national character, there are thousands of Americans who are not submissive to ultra-right nor neo-liberal ideologies that Trump or Obama and Hillary Clinton represent as leaders of the elite repressive social and economic class. Many Americans who vocalize their protests in the streets of American cities or in the small towns of America, and on the plains of North Dakota at Standing Rock, agree with Fidel Castro’s statement “I find capitalism repugnant. It is filthy, it is gross, it is alienating... because it causes war, hypocrisy and competition”. Americans understand well enough, including even those Americans who are silent for many and various reasons, that it is capitalism that has debased their lives, that has made them cruel, harsh, decadent and hated by others throughout the world. Even those in the United States who were dismissive and full of hatred and bellicose fury against Fidel Castro, could not ignore the fact that he was courageous man who stood up against them and was not afraid. History will not only absolve Fidel Castro Ruz. History will absolve those who have lived and died in the struggle against American hegemony, fascism, and oligarchical tyranny. It is not for nothing that I say Fidel Castro Ruz’s life is a part of our historical legacy with all its great complexities that are too numerous to mention. As I have said, he was a great man and a great social revolutionary that mirrored us, whether we admit it or not. Fidel Alejandro Castro Ruz, who died in Cuba in the evening of November 25th, was the legend that few of us will ever know, for being such a man involved hardship, severe discipline, and a harsh understanding of what is to be done in order to create economic and social change in any given nation-state. 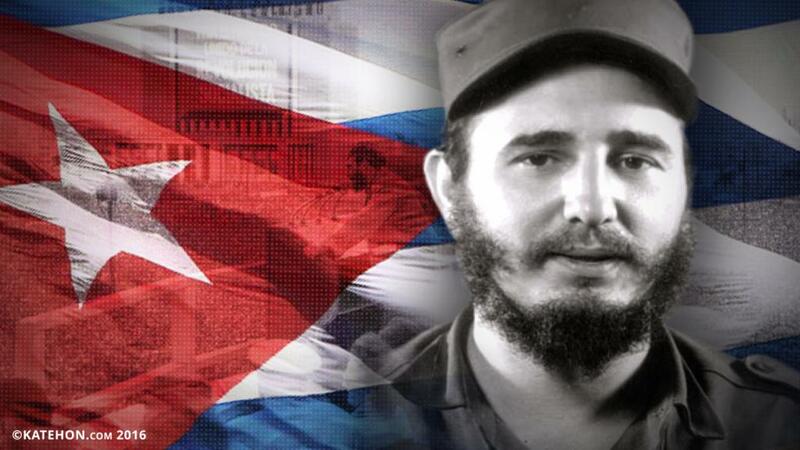 As Castro himself wrote: “A revolution is a struggle to the death between the future and the past”. And now, with the passing of the great man, Fidel Castro Ruz, we who are still a part of the living continue to participate in the struggle before us now. Tomorrow, July 4, 2018 is the 242 anniversary of the date chosen to stand as the date the 13 British colonies declared independence.